The descendants of Abel and Seth were allowed to join with non-Adamic women. The giants were called by different names such as Nephilim, Anakim, Rephaim, Emim, Zumzim, Zuzim, and Zamzumim. When one interacts with the unusual, one pays attention to details. Thus, some called the Anakim the “people with long necks.” The Rephaim were known as “shadowy figures.” The Emim provoked fear, so their names were equated with horror and terror. The name Zamzumim referred to tribes who make noise; they were perceived as evil and frightful. When God sent spies to Canaan, upon seeing the giants, some of them trembled in fright. Joshua and Caleb, however, were not afraid. They were amused, for the fear of the Almighty God was already upon all the inhabitants of the land. 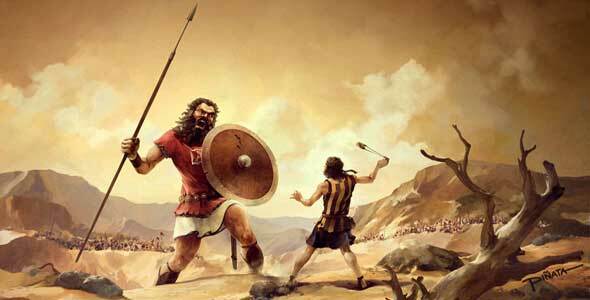 Joshua and Caleb did not perceive the giants as evil or aggressive. Moses, Aaron, and Miriam came from a priestly family. Moses’s successor, Joshua, the son of Nun, an Ephraimite, served under Eleazar the priest. Through the Y chromosome we can trace Jewish ancestry and even determine the origin of Aaron’s tribe and family. Some scientists have criticized Lahn’s work as inconclusive, challenging his claims that these genes are integral to brain evolution. His critics brand Lahn irresponsible, especially given the volatile combination of genetics, intelligence, and race that his ideas encompass. As much as this is true and can be labeled as dangerous in social and racial terms, it has no bearing on what we are dealing with here. Truth is interracial and encompasses all people, regardless of their ethnic backgrounds. Each individual contains something unique and glorious, and that’s what we should be studying. The biblical record seems to be obsessed with genealogies. Genes carry the original seed, and the Bible is the account of the righteous Adamic seed, mixed with the wheat and the weeds, and then traced down through the patrimonial line to Jesus and his spiritual offspring. Spiritual education can alter our psychological structures, which are governed by the genetic structure. The giants intermarried because of their size. Adam’s offspring, however, looked quite normal and blended with the general population of the earth. Inbreeding caused the giants to disappear. However, their genes remained in the human genetic pool. There are two reasons I mention this here. First, we must accept the research of genetics or continue with those useless squabbles over race and ethnicity. Second, We should not be concerned about our physical features or the way we go about our lives, but rather tap into those glorious spiritual genes inherited from Adam, which, contrary to many Christian beliefs, have a peaceful nature. Warlike dispositions came from those who interacted with God’s sons. The epigenetic modifications that occur between parents and their offspring encompass a great variety of mechanisms that influence genes. Translation of the genetic data and the copying of the genetic messages affects us all, for the genomic DNA rewrites itself as we speak. I am very thankful for this message. In "epigenetics" I read:..." ...inherited from Adam, which,...,have a peaceful nature." and: " Warlike dispositions came from those who interacted with God`s sons." So how is it with Cain? He was not mixed with other people and he was a son of God with these glorious spiritual genes (peaceful nature)inherited from Adam. But Cain showed a warlike nature, he inherited only these genes from Adam, but did not tap into those - so he changed his peaceful genes from Adam into warlike genes through his choice? For me this fact is very important because it is not only this interaction with others - it is my choice to be peaceful or warlike - is it? I can be mixed with whom soever - it is my choice to be a peacemaker or a warlike person. Do I see that wrong? Just as you said, "it is my choice to be peaceful or warlike - is it?" Why Cain was wrathful I have conjectured in the book "Truth & Illusion the Last Reformation" and I concluded that because Eve's childbirth pains she sort of despised her firstborn son; and Cain felt it all of his life, while Abel was Eve's comfort. Eve loved Abel so when Seth was born he replaced the comfort Abel. Adam and Eve were extremely sensitive people because they had no time yet to grow 'thick skin' like the other people had, they had no other genes than those God put together from the earth's elements - physical. Now something spiritual: their, spiritual, mental and emotional makeup was inside their clay-and-mud-formed bodies. We must separate clay from its spiritual contents. Eve's choice - to rather stick to her painful childbirth memories - and not choose (for Cain's sake) the motherly nurturing and loving feelings - she passed on to Cain. Imagine a child growing up being hated by his mother. Cain: In Genesis 4:7 just before he slew his brother God was encouraging Cain to choose right and not give into his resentful and hateful feelings against Abel, which he harbored most of his life. But like his mother he rather succumbed to his emotional makeup than the mental choice-making RATZON, which God educated and sharpened. I mean: Cain had a personal tutor - God Himself. Cain's choices were emotional; hence, these powerful emotions skew, change and alter also our genetic makeup. It is the soul and in its powerful apparatus that shapes DNA not passive thought. Read Ezekiel 18:3-4 As I live,” declares the Lord GOD, “you are surely not going to use this proverb in Israel anymore. “Behold, all souls are Mine; the soul of the father as well as the soul of the son is Mine. The soul who sins will die. So, although Eve despised Cain and Cain despised Abel Cain had no excuses and could not blame his mother whom Adam did not educate in righteousness, but in the seventh generation Enoch accomplished it. But, Methuselah made other choice although he had the legacy and grace of his father Enoch; as a result Methuselah lived almost a 1000 years... God waited for him so long. Choices and strong decisions are most powerful. However, when thoughts become equally powerful or rather stronger than the soul these thoughts - which command soul to feel right - do influence the NEPHESH (soul) then RATZON wins and this is what Enoch had done. Jacob had this knowledge (by God's Spirit of wisdom). Jacob knew that the strongest emotion is the drive to mate, sexual. Jacob took advantage of this (animal soul) and then bred speckled goats. Conclusion: when we nurture peace and happiness we pass it on to our children, just as blessings or curses can also be passed on. Cain chose to stay in his wrathful disposition and has never repented and that in turn he passed on to his offspring in Nod. Thanks for you detailed explanation. I hope I have it now understood. Cains reaction was emotional and not because of warlike genes in him. The bottom line is this: it is our soul that changes the DNA strands in us. With the correct teaching and instruction (that's the reason why we got the Torah first and then Jesus and the New testament) we can apply knowledge and then feel it; then nurture and cultivate it until it becomes part of our soul's emotional makeup; then we are changed. This is the revelation I have received in the Old Jerusalem. I was changed and based on this experience I am convinced of this being the absolutely powerful truth that changes us permanently. Lieber Joseph, es ist befreiend, wenn man erkennt, dass man etwas begriffen hat! (Wenn es bei mir auch nur ein "Kratzen an der Oberfläche" ist). Ich habe immer wieder darüber nachdenken müssen, was mit Cain war. Ich kannte Deine Botschaften darüber und auch die Aussagen über unsere Wahl und die Bedeutung unserer Seele. Aber ich habe es wohl immer "nur gehört" und nicht tatsächlich wahrgenommen. Es ließ mich jedoch nicht los, immer und immer wieder mußte ich darüber nachdenken - und nun sind mir die Augen (zumindest mehr) geöffnet wurden, ich habe es wohl tiefer verstanden. Und bei mir ist es so: Ich habe etwas erst begriffen, wenn ich es mit eigenen Worten wiedergeben kann, und das versuche ich jetzt einmal :Unser Verstand arbeitet nur, wenn er Informationen bekommt, diese Informationen(Wissen,Erkenntnis, Erfahrungen) erzeugen Gedanken in uns und jeder Gedanke erzeugt ein Gefühl in unserer Seele. Dieses Gefühl bestimmt unser Handeln. Nun müssen wir uns diesen Gefühlen jedoch nicht willenlos ausliefern - wir können sie steuern, indem wir unsere Gedanken bewußt einsetzen. Wie und was wir denken bestimmt also unsere Gefühle und damit unser Handeln. Deshalb ist es die Seele (Sitz der Emotionen), die eine so große Bedeutung hat. Nun habe ich auch verstanden, warum es "...die Seele ist, die sündigt..." Hier entstehen unsere Gefühle, die unser Handeln auslösen. Wenn wir also sündigen, ist ein Gefühl (und davor natürlich ein bestimmtes Denken, eine bestimmte Erfahrung), der Auslöser. Nun können wir aber unser Wissen und somit unser Denken erneuern und verändern und damit auch unsere Gefühle (bewußt)in eine andere Richtung lenken.Das hat Gott dem Cain eklärt.Und wenn unser Denken auf die absolute Wahrheit gerichtet ist und wir sie mehr und mehr erkennen und festhalten,werden wir unsere Gefühle, unsere Seele und damit auch unsere DNA total verändern. Es liegt also in unserer Entscheidung, was wir denken und daraufhin fühlen und handeln. Und mir ist noch etwas klar geworden: jede Erfahrung, die wir im Leben machen, wird in uns "emotional markiert bzw. bewertet", wenn wir also unser neues Wissen auch anwenden und dadurch Erfahrungen machen, die dieses Wissen in uns bestätigen, dann geht die Veränderung bzw. Erneuerung oder "emotionale Umprogrammierung" in unserer Seele noch schneller und massiver voran. Ich bin total begeistert von dieser Erkenntnis, denn damit verstehe ich auch anderes viel besser. Es ist einfach unglaublich befreiend! Und ich finde es fantastisch, dass diese Erkenntnisse über seelische Vorgänge in uns Menschen keine Neuentdeckung der Wissenschaft sind - sondern uns in der Bibel schon immer zur Verfügung standen! Danke, Joseph, dass Du das alles wieder aufdeckst! Ich bin gespannt, was es noch alles zu erkennen gibt! Halleluja! Hier ist noch etwas, das mir durch den Beitrag von Joseph bewußt geworden ist : Viele Menschen meditieren, um in einen Zustand der "Seligkeit" oder des "absoluten Friedens" zu gelangen. Das Meditieren in der Weise, dass die Gedanken und somit der Verstand "zum Schweigen" gebracht werden, führt die Seele in einen Zustand der "absoluten Harmonie" bzw. des "Eins-seins mit dem Göttlichen" , wie es von Praktizierern dieser Technik benannt wird. Nun kann ich mir diesen Vorgang so erklären: wenn ich beim Meditieren meinen Verstand "ausschalte", indem ich den Informationsfluss zu ihm stoppe und somit auch "nichts mehr denke", dann werde ich auch nichts mehr fühlen. Und dieser "Ruhezustand" von Verstand und Seele wird als "absoluter Frieden" erlebt. Ich habe das selbst noch nicht praktiziert und nicht erlebt, aber ich kann es mir nun erklären. Wenn jedem Gefühl ein Gedanke vorausgeht, dann wird ein "Ruhen der Gedanken" auch ein "Ruhen der Gefühle" bewirken. Dieser Zustand kann jedoch kein Dauerzustand sein, denn 1. wird er enden, sobald die Meditation vorbei ist und 2. brauchen wir unseren Verstand in dieser Welt und können ihn nicht dauernd "Ausgeschaltet" lassen. Wobei ich nicht bezweifle, dass das Praktizieren dieser Technik auf Dauer uns auch verändern kann. Ich hingegen denke, uns ist etwas "Besseres" gegeben, um in dieses absolute Friedensreich einzutreten und DAUERHAFT darin zu bleiben. Wenn wir unseren Verstand ständig mit dem erlangten Wissen der absoluten Wahrheit füttern und uns noch dazu freuen über das, was wir erkennen und erfahren dürfen, wenn wir dieses Wissen auch umsetzen,dann wird dies alles auch unseren seelischen Zustand dauerhaft prägen und verändern. Eine sich ständig wiederholende Meditation im oben genannten Sinne wäre dann überflüssig. Anmerkung: ich möchte hier nicht "glänzen" mit dem, was ich erkennen durfte, sondern ich möchte damit einfach unterstreichen, was uns mit den Botschaften, Artikeln und Kommentaren von Joseph Luxum für ein bedeutendes "Werkzeug" in die Hand gegeben wurde, um unser Leben dauerhaft (im positiven Sinn) zu verändern.